There are many factors that you have to consider when choosing a roof. Aside from durability, cost-effectiveness and energy efficiency, you also have to put some thought into how the roofing system will look compared to the rest of your home. A good-looking roof will greatly boost your home’s curb appeal and increase its overall value. Short of picking a different roof profile, choosing the right color option creates an appealing visual impact for your roof. 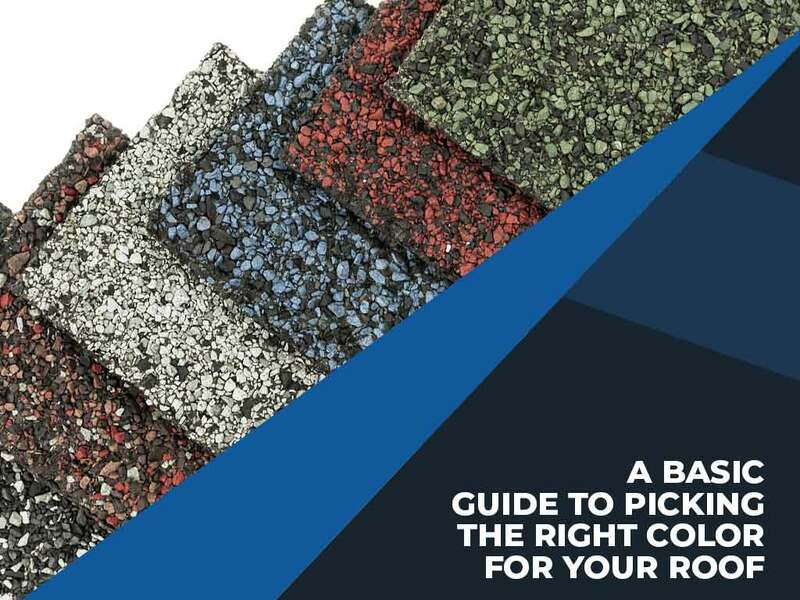 Because choosing the roof’s color is much easier than re-structuring the entire roofing system, it can be considered one of the most cost-effective ways to get more value out of your roofing project. The key to picking the right colors for your roof lies in matching the rest of your home. Is there already a lot going on with the rest of the structure courtesy of patterned siding and fancy detailed windows? Roofing shingles with a subdued or neutral tone can help balance things out. Do you feel like your home looks a bit dull? Warmer or vivid colors can help break a monotonous visual theme and make your home look more inviting. Any experienced home designer will tell you the importance of lighting when picking the color of your roof. This is because a home can look very different depending on the time of the day. Make sure you’re picking a color option that will match your home during both sunny days and low-light conditions. Before picking an option, we recommend choosing a sample color and viewing it at different times of the day to evaluate the lighting difference. There’s a common misconception that going for lighter-colored shingles make for more energy-efficient roofing systems. That myth has restricted countless homeowners from choosing the color option that they prefer, cutting their options by automatically excluding darker roof tones. Fortunately, federally funded research has already concluded that most of the difference lies in the choice of sheathing and that color options make very little (if any) difference, which means you can go for dark-colored roofing if it fits your home. Get a good-looking roof for a good-looking home. Signature Exteriors is a GAF-accredited company that can provide you with roofing services in Connecticut, Westchester and White Plains, NY. Contact us at (866) 244-8029 or fill out our contact form for a free estimate.